2/8/2015Share this story on Facebook! Jen graduated with a B.S. in Integrated Marketing Communications. IMC majors learn how to build effective brands by blending techniques of advertising, public relations and marketing. Jennifer Segal ’14 is no stranger to the red carpet. 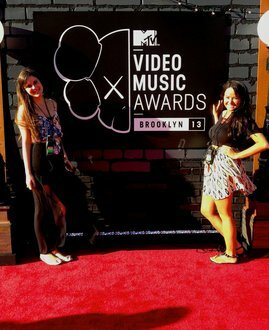 While studying at Ithaca College, Segal was an intern with MTV Networks and worked at the 2013 Video Music Awards. She also spent a semester in Ithaca College’s L.A. program, working in communications and public relations for the 85th Academy Awards. Segal went from intern to employee upon graduation by staying in contact with many of the professionals she met in L.A. Now she is the assistant to the director of external relations at the Academy of Motion Picture Arts and Sciences, and she works on all projects within the legal, exhibition, donor relations, and project management realms. Another aspect of her job is assisting the managing director on new projects, like building a museum for the academy. “It’s a fun job that keeps me busy and learning about a lot of new things within the urban planning and art world, while still being part of the greater entertainment world,” she said.